Conventional wisdom suggests that as we spend more time on the Internet, we also spend less time on face-to-face interaction and other traditional kinds of socializing. But a new paper from the National Bureau of Economic Research suggests that these online hours come less at the expense of family and friends than they do from another source: people's jobs. The study, by Scott Wallsten of the Technology Policy Institute, a research organization that focuses on innovation, found that Internet users carve 27 percent of the time they spend online out of productive work hours. By comparison, people spend 15 percent of their time on the web instead of watching television, while 12 percent comes from sleep. There are many options for keeping in touch with each other, with clients, to gain inspiration or keep abreast of the world around us. And we know that each of us has our own way of absorbing information. Sometimes things just click. I'm not a collector. The only thing I collect is books but I find that in a virtual world, all the postcards I've ever bought in a museum gift shop, every article I clipped and saved, every tidbit or fact that entertained me I can re-manifest on Pinterest. Whether it's Twitter or Facebook etc.., we can choose how we use these new vehicles and you can see that in practice: collections of recipes, or mustangs, expensive watches, dogs or political outrage. But for visual learners, Pinterest can be a very useful medium. To that end, I've begun a new collection of boards aimed at both advisors and clients or anyone interested in the issues facing small business owners. We still have a profile for NYS SBDC, but this profile is from the point of view of the RN. 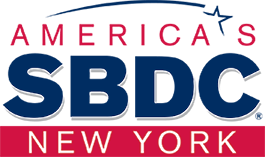 On the NYS SBDC RN boards, you'll find articles, videos, infographics, images relating to what our clients do. For example, there's a board for Downtown Revitalization with stories and examples of efforts made in cities who are battling a shared problem. Articles and presentations on Crowdfunding including how to make a good video; lots of information on Social Media, Home-Based Businesses, Selling Online, Corporate Identity and running a Food Business. Check out the boards, your might be inspired to create your own collection. Please direct your clients to them for further reading and videos on a wide range of issues. WASHINGTON – The U.S Small Business Administration (SBA) announced its third highest year of SBA lending to date, surpassed only by SBA’s two record years of supporting more than $30 billion in FY 2011 and 2012. In FY 2013, SBA supported more than $29 billion in lending to America’s small businesses, giving small businesses critical access to the capital they need to start and grow their business. WASHINGTON – Small businesses can help keep their business information safe and protect their online information with a new free course from the U.S. Small Business Administration. SBA is launching this new course, designed for small businesses, to provide an overview on how to secure business information, identify security threats and guard against cyber-attacks. Cybersecurity for Small Businesses is one of SBA’s newest online courses to help business owners safeguard their information from computer attacks and determine their readiness against security breaches. The course, available at www.sba.gov/tools/sba-learning-center/training/cybersecurity-small-businesses, teaches best cybersecurity practices and protection against cyber threats for the nation’s small business community. The protection of sensitive data such as business invoices, payroll records, client and employee data and other proprietary information is essential to a company’s success. A computer failure or other system breach could undermine a company’s reputation, expose it to costly recovery expenses, and disrupt the business’ overall operation. Cybersecurity for Small Businesses will help to identify information security vulnerabilities that can put a small business at risk, and the protective tools and techniques used to measure, maintain and guard business information and systems. Small business owners will learn the types of information that should be secured, how to protect themselves from intentional attacks or unintentional damage, guard themselves from decreased productivity caused by security breaches and evaluate the needed security tools and techniques. The course also gives useful and practical steps to take to protect a business’ operations. Cybersecurity for Small Businesses is self-paced and also offers best practices for guarding against cyber threats, potential computer weaknesses and the corrective actions for risk management. Course participants completing the online course can earn a certificate of completion from the SBA. The SBA Learning Center offers free courses covering topics such as Starting, Managing, or Financing a Business, and can be found at www.sba.gov/sba-learning-center. How can you recognize that your project is headed for disaster? Look for these warning signs. Not every project we work on is our crowning achievement. Only a few projects make us rush to our LinkedIn profiles to record how much wonderfulness we accomplished in how little time, with a budget this tiny. Into every project manager’s life a few clunkers must fall. Some failures are preventable; others are out of our hands. But all of us like to imagine we can avoid the worst of the catastrophes… or at least escape with our reputations intact. How can you tell that your project is aimed directly at #headdesk territory? Take heed of these warning signs. If you identify the uh-oh moments soon enough, perhaps you can take remedial action and save the situation. Maybe you can walk away, take a deep breath, reanalyze the requirements, and reset the team. We’d like to think so! Hundreds of business leaders and CEOs from around the globe came together today for the official launch of START-UP NY – the most ambitious economic development program in New York State’s recent history. This game-changing initiative, starting today, will create tax-free zones to attract and grow new businesses across the state. START-UP NY seeks to accelerate entrepreneurialism and job creation across the state on a large scale, with a particular focus on Upstate New York. In a tax-free environment, no one can match what New York has to offer. We are leveraging our world-class SUNY system and prestigious private universities to partner with new businesses, providing direct access to advanced research, development resources, experts in high-tech and other industries, and all with zero taxes for ten whole years. Click here to learn more about START-UP NY. Businesses that are looking to startup or expand, and most importantly create jobs, should look no farther than the Empire State. Visit www.startup-ny.com to learn more about the program, find answers to frequently asked questions, and search for eligible space. START-UP NY continues the Governor’s steadfast commitment to creating jobs and growing the economy. New York is rising once again. CIMA is the world”s leading and largest professional body of management accountants. Its training means it produces financial managers with the many and varied skills necessary to handle global competition. From its headquarters in London and 11 offices outside the UK, CIMA supports over 172,000 members and students in 168 countries. This case study looks at how management accountants forecast, monitor and control cash flow in order to maintain the ongoing financial health of businesses. There is a perfect storm for Start-up failure. The combination of the cultural shift towards entrepreneurship, the trendiness of tech start-ups, the removal of barriers to build products, and government policies has created an oversupply of start-ups. Starting a start-up is easy, building a business is hard. Invest in your business – don’t take angel money too early, self fund your business. The new NYS Contract Reporter website is scheduled for launch in November 2013. To insure a seamless transition from the current site to the new site, with all of its new features and functionalities, we are requiring all current account holders to create their new account during a pre-registration period. Pre-registration is open from 10/17/13 through 11/22/13. All services on the new site are free, but if you don't create an account during pre-registration you may encounter an interruption in service when the new site is launched. If you don't create your new NYS Contract Reporter account during this month-long pre-registration process, you will be able to create your new account when the site is launched in November. To create your new individual account for the new NYS Contract Reporter: start here or copy and paste this URL into your browser: www.nyscr.ny.gov. Note: If you are a state agency or municipality receiving this message PLEASE DO NOT create an account. This message is intended for business account holders only. Along with measuring your business traffic and conversion, success also relies on customer retention to complete the big picture. You may be getting attention, turning visitors into users or paying customers but are you able to keep them around month after month? Or are they leaving after one experience or one transaction? If you want to build a sustainable and scalable business, you need to cut down on churn, the rate at which people are discarding your products and services. To do so, calculating your customer retention is the first, and important, step in this process. If there’s anything I learned while freelancing, it’s that you have to treat it like a small business. There’s no way you’re going to be able to handle the high workloads and stresses of keeping up with multiple clients unless you adopt creative ways to stay organized just like a retailer would. The entrepreneurial mindset is a must-have, and you’re not going to go anywhere if you don’t have the tools necessary to collaborate. That said, we will discuss all the free collaboration tools that you need to get your groove on! The balance sheet for any company will list all kinds of assets and liabilities, except company culture. There should be a way to account for this, because culture is a critical factor in the success of any company. A great corporate culture is like a propellant – it helps accelerate an organization toward achieving its goals. Likewise, a toxic corporate culture is like dragging a boat anchor behind you: no matter how high the throttle is set you just can’t seem to pick up speed. Great leaders understand the value and impact of culture, and that’s why they put effort into creating a healthy one. Culture is the collectively held values, ideology, and social processes embedded in a firm. Every organization has a culture, whether it was created intentionally or is the product of evolutionary chance. For example, a set of contrasting corporate cultures is empowerment and fear. Small business owners and entrepreneurs from around the country have started to feel the ripple effects of the closure — some left waiting for contract updates, some left waiting for loans, and some left waiting to see whether customers are going to keep walking through their doors. "We have all seen the offices locked down, the monuments closed," President Obama said during a speech on Thursday. "But the impacts of the shutdown go way beyond those things that you are seeing on television." As an avid LinkedIn user, I have discovered some wonderful tips and tricks that don’t seem to be universally known to the LinkedIn community. Most people know what LinkedIn is, but many don't know how to use it to its full potential. It’s taken some time to learn these tricks. LinkedIn can be a little hard to initially navigate, but don’t let this scare you away. It is one of the absolute best tools you can use to build your personal brand! Here are 5 LinkedIn tricks I wanted to share to make your LinkedIn experience just a little bit easier. There has been no shortage of conversations about women at mid-career and the challenges they face. Offering some clarity are 10 rising stars in the field of communications, who are the winners of the inaugural New York Women in Communications' WiCi Awards. Drawing on their careers in advertising, journalism, marketing and social good, the WiCi Award winners shared words of wisdom, including the best advice imparted upon them by the people they look up to most. Lesley Jane Seymour, editor-in-chief of More magazine, asked the honorees on Sept. 18 about the turning points in their careers and their biggest influencers, which ranged from encouragement from Steve Jobs to sage advice from their parents. It's one of the first things people ask you when you tell them about your new job: What are the benefits? Health insurance is such an integral part of life that people take jobs just so they will be guaranteed issuance. Now that the Affordable Care Act application process is up and running, people have been buzzing about how it will affect their lives. Startups and entrepreneurs, though, have the potential to be the biggest winners come January when the Obamacare plans go into effect. Chris Mihm, owner of Medicoverage, believes that for a few different reasons the Affordable Care Act is going to revolutionize startup hubs around the country. "Group insurance offers guaranteed issuance – every single employee will get approved no matter if they have cancer or any pre-existing condition of any type," Mihm said of the way health care traditionally worked. "On January 1, 2014, every single person who signs up for insurance is guaranteed issuance. So even if you have a pre-existing condition, you’re going to get approved at the same rate as me. That changes everything." Chess Media Group has released its latest whitepaper on how to select an enterprise collaboration software vendor. Instead of providing a review of various technologies which would most likely be outdated by the time it was published, CMG decided to focus on providing a guide to help YOU figure out which vendor is the best for your company. In other words Chess wants to give you the tools you need. The whitepaper is focused on two key things in order to help you accomplish this evaluation. The first is a breakdown of the 8 common variables that most companies use to evaluate vendors; these include things such as features, price, support, and others. The second is a framework for how to evaluate vendors based on those variables. CMG created a simple four-step process which is both easy to understand yet highly customizable to the needs of your company. Download the whitepaper on how to select an enterprise collaboration vendor. How many of the 25 characteristics do you have? Half of companies say that at least thirty percent of global revenues will come from emerging markets by 2017. According to the International Monetary Fund, emerging markets can expect two to three times as much growth as developed economies. It’s not surprising then, that many companies and individuals are becoming increasingly motivated to invest in emerging markets around the globe. Brazil, India, China, and Russia are four of the top ten emerging markets that many companies plan to invest in at some point in the next five years. Individuals (or companies) who are interested in investing in emerging markets should educate themselves before making decisions about how to invest their money. The following infographic offers information on emerging markets by country and industry, and also outlines a few “best practice” tips that every individual should be familiar with before investing in emerging markets. "Show me the money!" -- the famous line from the movie Jerry Maguire -- carries the sort of gusto and optimism that is ear candy to entrepreneurs. But as a professional negotiation coach with nearly three decades' in the trenches, I associate that catchy phrase with something else entirely. The reality is most entrepreneurs begin to think about negotiation -- this includes the word "negotiation," setting up a meeting, and the overall negotiation process -- only when it's time to be shown the cash. In other words, in the minds of just about every small business owner, a negotiation is when the money talks. Nothing could be further from the truth, and I can't imagine the millions of dollars entrepreneurs have lost, over the lifespan of their businesses, by defining negotiation in such a limited way. Negotiation is the effort to bring about agreement between two or more parties, with all parties having the right to veto. Here's what you're probably doing wrong, and how to get it right. Companies spent $294 billion on research and development performed in the United States during 2011, compared with $279 billion during 2010 (table 1). Funding from the companies’ own sources was $222 billion during 2010 and $239 billion during 2011; funding from other sources was $57 billion in 2010 and $55 billion in 2011.